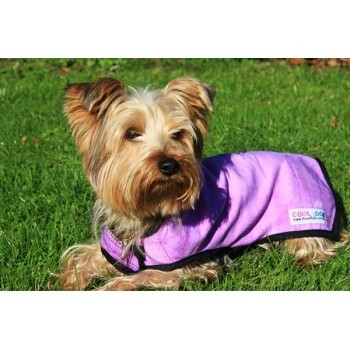 Cool-Coats make your dog feel cool, not wet. 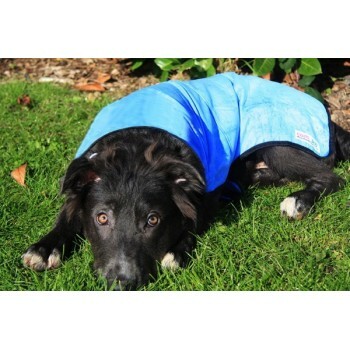 They use the heat taken from your dog's body to evaporate the water held in the coat - cooling him down in the process. Simple activate again by re-wetting the coat. 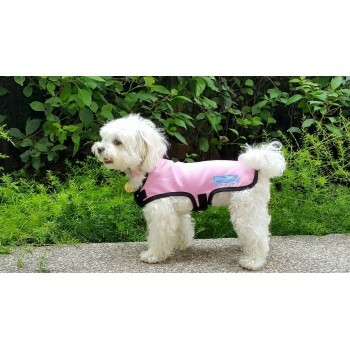 The Cool-Coat will make your dog feel cool, not wet. 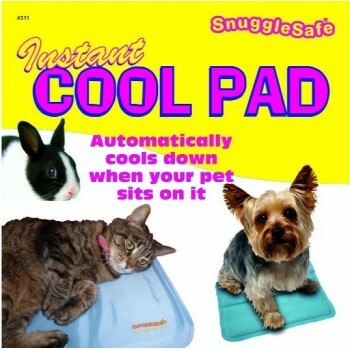 You can test this by putting your hand beneath the dog's coat and feeling how cool he feels compared to any part of his coat that is exposed to the sun or heat for a period of time. 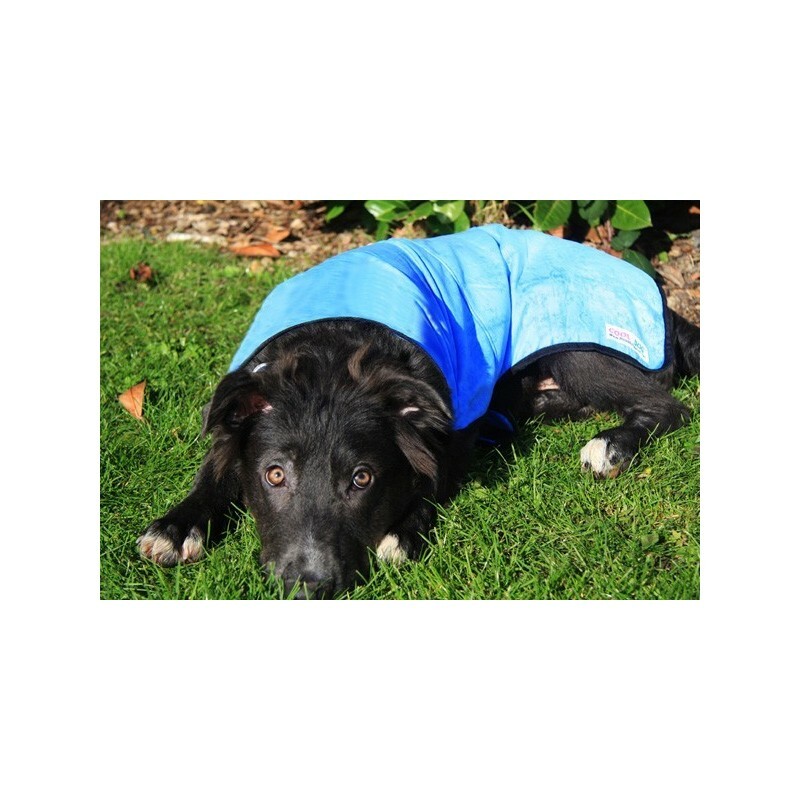 As the heat of the day slowly evaporates the moisture from the Cool-Coat, this in turn draws the heat out of the dogs body, leaving him feeling far cooler than before. When your Cool-Coat coat starts to dry out, it will begin to go back to its natural state, becoming slightly dryer, and a little stiff. When this happens, simply re activate your coat by putting it in water. Immersing the Cool-Coat in water for just a couple of minutes. 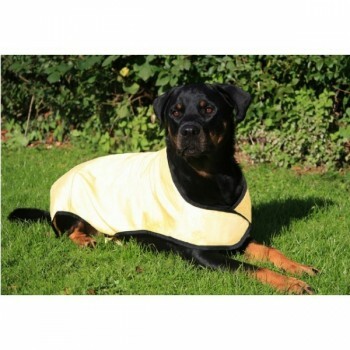 The Prestige Cool-Coats for Dogs are available in 5 sizes and a choice of 3 colours, and work due to the cooling effects of the wet fabric against the dog's hair and skin. 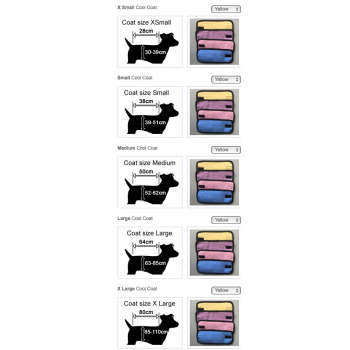 They retain moisture for up to 4 hours, hence the dog feels the cooling effect for this length of time. 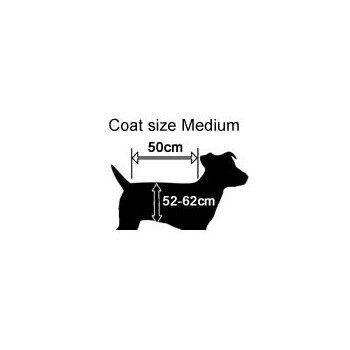 Once the Cool-Coat is completely saturated, remove the coat and squeeze out the excess water, so your coat feels cool, yet not wet.